The Asheville Wine & Food Festival, which would have celebrated its 10th anniversary as a signature event on the local food scene, won’t be happening this year, according to Romantic Asheville. In the meantime, a new local culinary event that’s in the works is planned for this September. The Asheville Wine & Food Festival launched in 2009. Local foodie Bob Bowles teamed up with media company Gulfstream Communications, publisher of WNC magazine, to get the festival off the ground. Bowles has helped shape the wine and food scene in Asheville over the years through his work with the Asheville Slow Food Movement and other wine and food events. The growth of the Asheville Wine & Food Festival mirrored the growth of the city’s reputation as a place with an amazing local food culture, and incredible chefs and restaurants taking advantage of that local food. The festival became a multi-day event that included dozens of food and wine makers from around Western North Carolina. One highlight was the WNC Chefs Challenge, which pitted area chefs against one another in a series of cook-off events that the public voted on. The festival also included a cocktail competition and a separate event celebrating desserts. Bowles took full ownership of the festival in 2014. The 2016 Asheville Wine & Food Festival was named as a Top 20 Event by the Southeast Tourism Society, according to the festival’s website. It was listed by TripAdvisor in the “The Travelers’ Choice® Food and Wine Destinations Awards” and placed Asheville alongside cities such as New York City, San Francisco, New Orleans and Chicago. 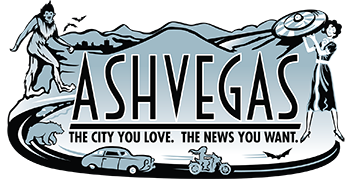 During the monthly meeting of the Buncombe County Tourism Development Authority, Stephanie Brown, president of the Asheville Convention and Visitors Bureau, mentioned a new culinary event in a discussion that was not connected to any talk of the Asheville Wine & Food Festival. Brown was discussing the authority’s budget and the use of some of its funds to incubate and promote new local events. “The culinary community has been working on a new event that’s going to be really exciting,” Brown said by way of example. Later in the discussion, Brown said, “I think you’ll be really excited about the culinary festival that will make small appearance this September” and have a bigger presence in 2019.